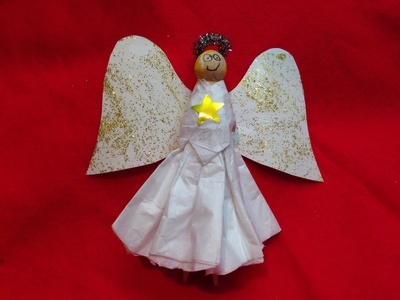 If you have kids who love making Christmas decorations, try this little angel made from a wooden clothes pin to hang at the top of the Christmas tree. 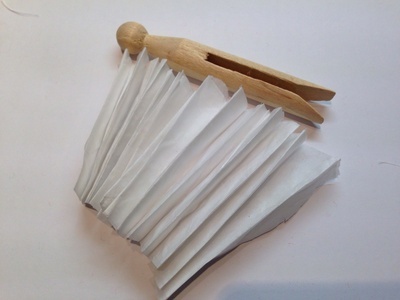 Fold the tissue into a rectangle, several layers thick. 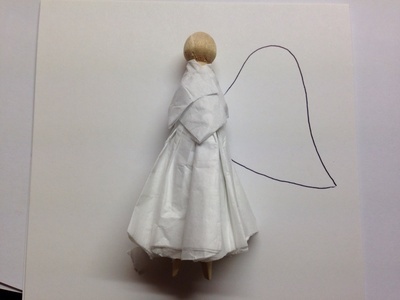 The width of the rectangle should be the length of the angel's dress (you can trim it down later). Fold the rectangle backwards and forwards into a concertina. 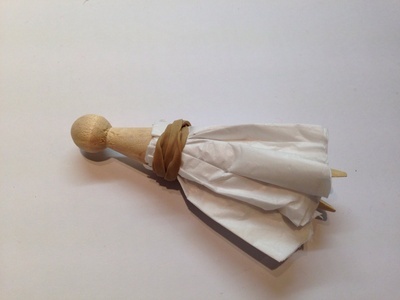 Wrap the folded concertina tissue around the wooden peg and fix it into place with the elastic band. 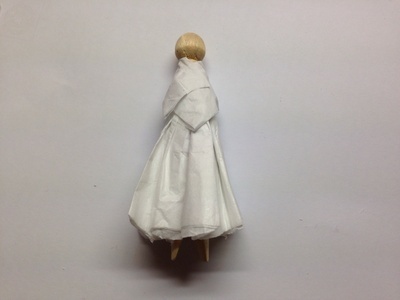 Fold a second piece of tissue paper into a rectangle and glue this around the top half of the angel's body, covering the elastic band. Stick a shiny star onto the front of the dress. 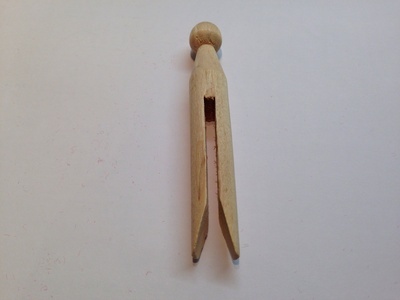 Draw some hair and a face on the round peg top. 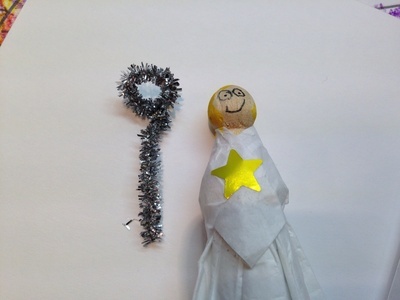 Bend a sparkly pipe cleaner into a halo shape, leaving a long section so that you can attach it to the back of the angel. 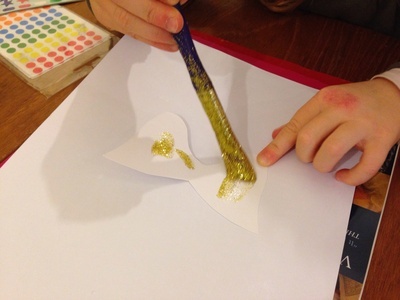 Draw a set of angel wings (one piece with both wings joined together) on white card and cut out. 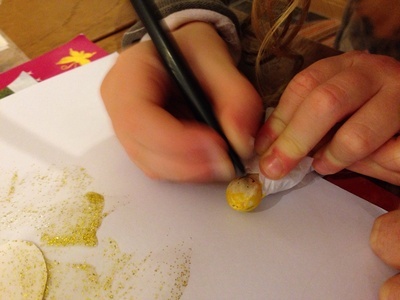 Decorate the wings with glitter or shiny stars. 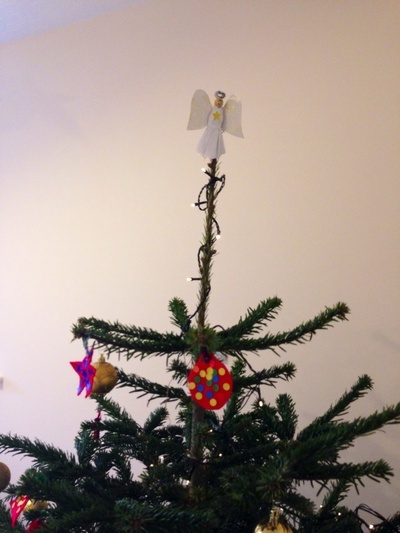 Position the halo on the angel and tape the long piece of pipe cleaner to the back of the angel. Glue the wings on top, adding clear sticky tape as needed. 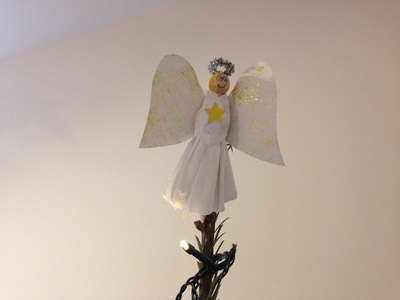 Your angel is now ready to attach to the Christmas tree.